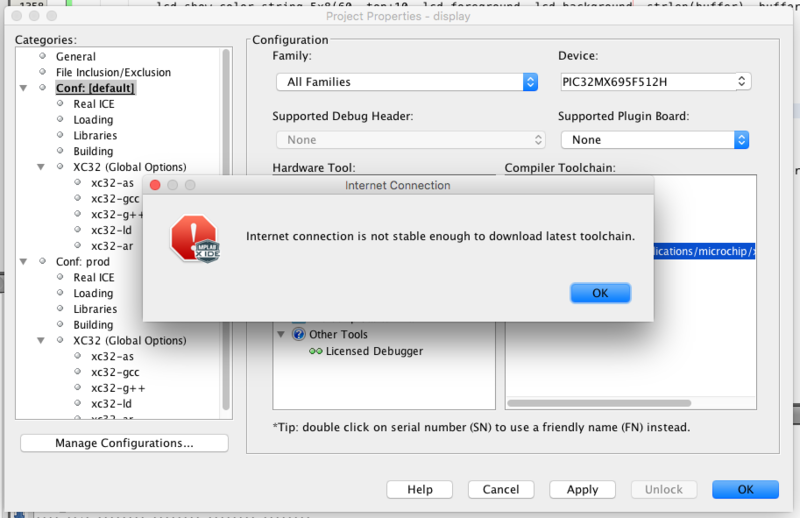 MPLAB X 4.10 keeps bombarding me with "Internet Connection is not stable enough to download latest toolchain" messages. I didn't ask it to download toolchains. I don't want it to download anything. Couldn't find anything in the settings. How do I disable the annoyance? Try to Block the Connection with the Firewall. I don't think this would help against the annoying pop-up. I've been shown this annoying message about 20 times during about an hour that I worked with MPLAB X yesterday. But I'm willing to try. What do you suggest blocking? Then just tell your firewall to prevent the program from excessing internet. Thank you, but I don't need it at the moment. 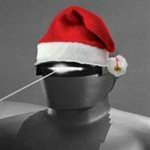 I worked with 8-bit chip using MPASM (sic!) and I do have the latest XC8 (1.45) downloaded (although I didn't need it neither). @Microchip: If you want to add idiotic features, at least give people who don't need such features a way to disable them. What fun and games are to found in mplab x v4.10? Project Properties: I bet they still don't work with restarting and doing it again or other workarounds. I'd second the request to have an option to disable this. I know the toolchains are existing as MPLAB X plugins. And there is a setting for the plugins which automatically checks for updates. So maybe that was causing your messages. If this is true, you could try to change that check interval for the automatic update of the plugins. In my case it did not help. All compilers in the latest version. That message appears every time one opens the Project Properties and/or clicks in the "Conf:" settings. For me randomly appears from time to time. I do get a popup at the bottom right corner that complains about an xc16 license check. That is there for around 2 seconds on mplab startup. It's not blocking where I have to click ok.
have you installed xc32 2.05 ? what have you got proxy set to ? This "not stable" note has begin popping up again here. It seemed to be coincident with the xc16 expired license note today.I thought I had it resolved when I got the latest xc32, maybe there is a newer compiler version about to be released ? New versions , new annoyances .... whats new ? Would you care to comment on just what this message might mean ? I find everything else downloads fine.